79, passed away on July 14, 2018 surrounded by her family. She was born on January 3,1939 in Honolulu. She retired as a manager at Consolidated Theater. Ann had many hobbies over the years, including bowling, dancing hula, making ceramics, crafting, and sewing fragrant lei with flowers from her garden. She also loved traveling to Las Vegas. Ann delighted in attending the various performances of her grandchildren, great grandson and many grand nieces and grand nephews. She was pre-deceased by father, Masatoshi (Blackie) Miyachi; brothers Stanley, and Norman; sister, Linda Maru; grandson, Jordan Lui. 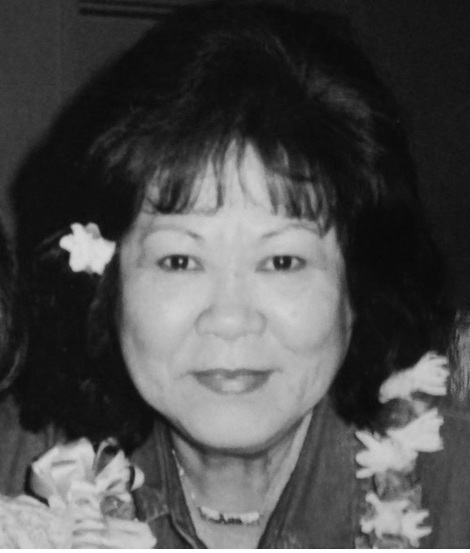 She is survived by daughter Dawn Noguchi-Lui; sons Daryl (Laura) and Dane (Estrella); mother Yoshiko (Hazel) Miyachi; brother Patrick Miyachi; 7 grandchildren; 1 great grandchild. Services will be held at Mililani Memorial Park and Mortuary, Mauka Chapel, on Friday, September 14, 2018. Visitation: 10:00 a.m.; Service: 11:00 a.m. Burial: 2:00 p.m. Casual attire. No Flowers.